My Readers Save 10% off your order! - Use code "famguide10" to save 10% off your order at http://www.picturesongold.com Not to be used with any other offers or discounts. Would sure be grand for a gift as birthdays are a coming here. That is great! Isaak wanted a boy chain. So many are so girly. 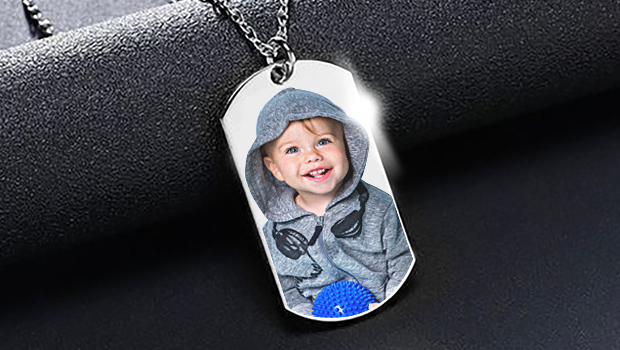 I like the dog tag. Of course it would have a basketball, or something geared towards his interest. I think they have such lovely gifts. It's such a cool idea to personalize gifts with your loved ones photos. Photo gifts are always welcomed by grandparents! These are super cute! Great gift idea.